According to a recent study by the Insurance Institute for Highway Safety, an important safety feature for child seats is being overlooked by parents and caregivers. 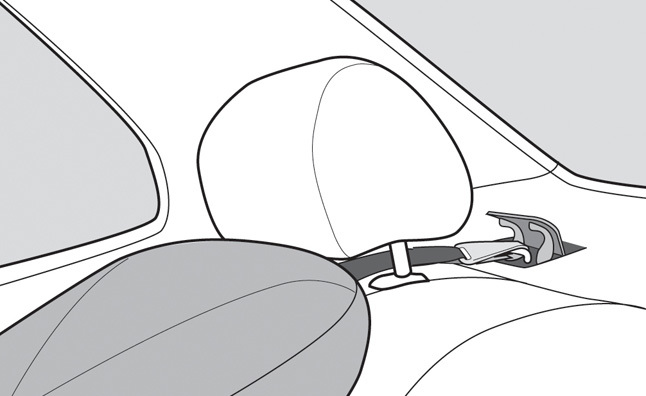 All vehicles and car seats made from 2002 onward come with an anchor and strap to keep a car seat from tipping forward, and according to the report, the safety feature is being used just a little more than half the time. In the survey, IIHS examined 479 vehicles that have a forward-facing child restraint installed. The institute found that the top tether and anchor was only used in 56 percent of the vehicles. According to the parents that didn’t use the top tether or anchor, 22 percent weren’t even aware that it was there, 15 percent didn’t know how to use it while 13 percent didn’t have enough time to connect it. Ten percent believed that it wasn’t important or necessary and 9 percent were unsure of where to attach it. Lastly, 8 percent of those surveyed didn’t know they even had an anchor. The top tether is part of the Lower Anchors and Tethers for Children (LATCH) system. The lower anchors are typically used more often while the top anchor is often ignored as evident in the study. Perhaps what’s even worse, in 31 percent of the instances that the top anchor was used, the child seat was improperly installed.